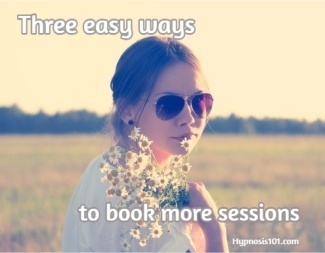 You probably know what the best ways to book sessions are, right? Referrals and repeat business. But do you have a system? 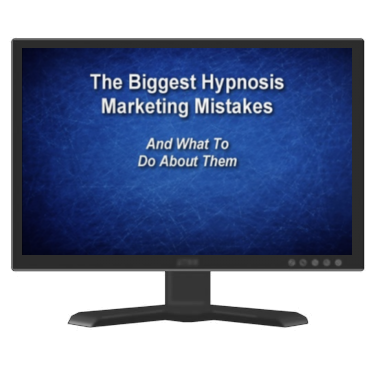 Referrals are the lifeblood of most efficiently run hypnosis and NLP practices. Why? Because, when your best friend tells you about a restaurant they like, you trust it a lot more than an advertisement that tells you a restaurant is great. And selling to someone who has already bought from you and trusts you, is multiple times easier than selling to someone new. Plus, referrals and repeat business typically don’t cost you money, like an ad does. I know, it’s more exciting going after new business. And designing new brochures, web sites and ad campaigns is more exciting than going after repeat business and referrals. So, how can you reap the rewards of this low-hanging fruit without spending a lot of time? You systematize. In fact, I’d go so far as to say, anything you do in your practice more than three times, you should systematize. What does systematizing mean? To me, it means, having a procedure you follow each time you do a task, and as much as possible, automating that procedure. Now, you can get all technical and expensive in doing that, but let’s go old-school and simple. 1) Create an email signature that asks for referrals. 2) Create a tickler file. 3) Rework your intake form. Most email programs have the ability to add a signature. That’s a blurb that automatically goes on the end of every email you send. Put a little blurb in the signature about how you value referrals. The thing is, most of your clients won’t think about how your business works. Most of them don’t run businesses and don’t think about the economics of it either. So, let them know that referrals help you. Just say something like, “We appreciate your referrals, they warm our heart,” or something similar. Then tell them how to refer. Create a filing system with 13 files — 1 for next month and one file for each of the 12 months. Whenever you see a client, put them in the ‘next month’ file. Sometime around the middle of the month, open up that file and contact everyone you saw the month previously. Call them, send a card, or email them. Something simple will work, “Hi Jill, I was just checking in to see how things were going since we last saw each other.” If it’s an email or card, suggest a way to respond — “Send me an email and let me know.” Keep privacy laws in mind when you do this. If it’s an email or a card, save it as a template so you don’t have to re-type it. Just change the name and perhaps a detail or two to personalize the message. Unless they book an appointment, put them in a file folder that’s 6 months away. Contact them again, then. Put a list of issues you like to work with on your intake form, with checkboxes. Put the under an “Other things You’d Like Help With” heading and a “check all that apply” message. You can use that as an opening, especially when clients are giving you positive feedback on your previous work. If you want to get technical about it, you can “tag” clients in an email system by issue. Then, you can email all the folks who have expressed an interest in stopping nail-biting with an “I’m doing a special on nail-biting” email. If you do that kind of thing, I’d suggest you schedule your sales out and do it systematically. Perhaps you can run the same sales each year — smoking and weight in January, stress reduction in April, nail biting in September etc. That way, you just repeat rather than reinvent the wheel each time. I’m sure you’re already thinking of lots of additional ways you can help the clients you’ve already seen, and their friends. The key is to keep it simple and do things you can repeat.